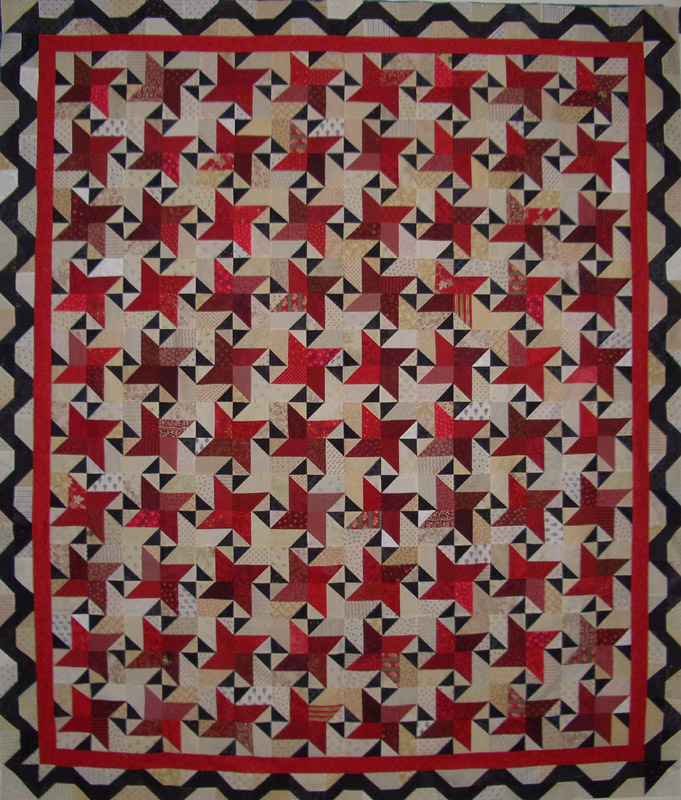 This week, while in Mammoth, I finished up the Star Struck Quilt that was started in a Bonnie Hunter work shop. I used up a lot of my red/black/neutral 2.5 inch strips for this one. It was nice to make a dent in the stash! The borders are from Pat Speths Nickle Quilts and Borders book and also used 2.5 inch strips.This has become one of my favorite books, as there are many different border treatments that are simple to make and add a unique finish to a quilt. Now on to getting the Monster Quilt complete! 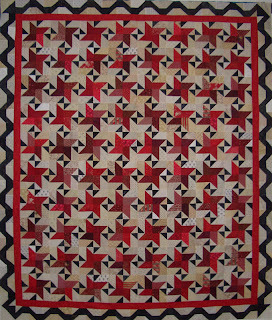 Don't forget to check out all the other great projects at Patchwork Times. Another beautiful quilt, I really like the border, makes it unique. Great job. Glad that you are back to your blog.